When watching your weight, be careful about the amount of beer you drink. A bottle of beer can contain a high number of calories, not necessarily from the carbohydrates, but because of the alcohol content. Shiner Bock beer contains 142 calories for a 12-oz. bottle, or about 12 calories per oz. Shiner Light contains 120 calories, while Shiner Hefeweizen contains 174 calories. Shiner Bock contains 12.9 g of carbohydrates per 12-oz. bottle, more than wine, whiskey, gin and brandy. According to the Harvard School of Public Health, the best sources of carbohydrates include whole grains, vegetables, fruits and beans, as they deliver vitamins, minerals, and fiber. Easily digested refined carbohydrates from highly processed foods, such as beer, do not deliver nutrients along with the carbohydrates and, therefore, may contribute to weight gain, interfere with weight loss, and promote diabetes and heart disease. While the total calories in beer may contribute to weight gain, according to a 1999 article in the "American Journal of Clinical Nutrition," alcohol reduces the number of fat calories you burn. Instead of burning fat for fuel, your body burns acetate, a product of alcohol metabolism. In addition, according to a 2004 article in "Physiology and Behavior," alcohol increases your appetite for up to 24 hours after you finish drinking. 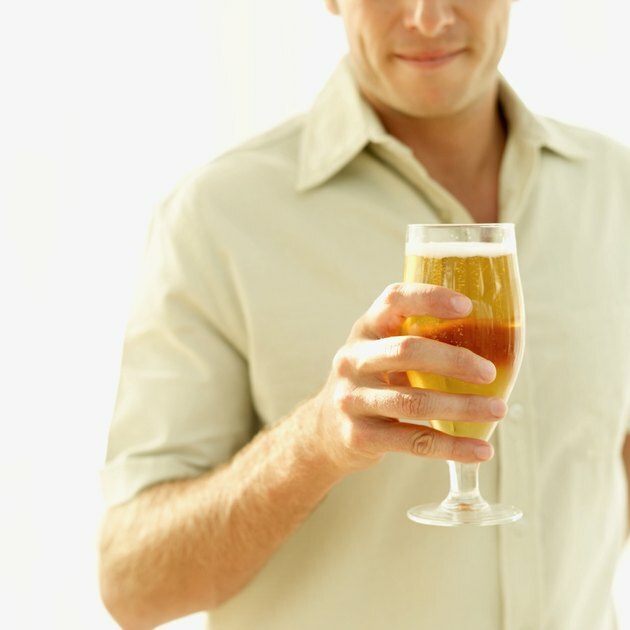 Does Drinking Beer Interfere With the Healing of a Broken Bone?